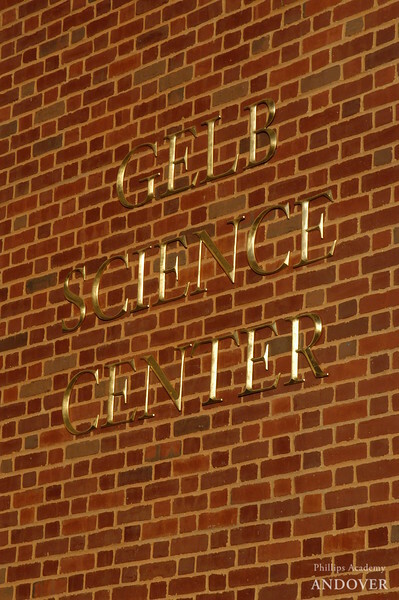 The Gelb Science Center is a state-of-the-art facility that provides students with an ideal environment to pursue a science curriculum that ranges from introductory courses in biology and chemistry to electives that allow them to explore topics rarely encountered in a secondary school science environment. Lab classroom configurations were designed with flexibility to serve both laboratory and traditional class activities with laptop stations and multimedia capabilities. The video tour of the Gelb Science Center, http://vimeo.com/3870629, was made shortly after the facility open in 2004. In addition to showcasing the features of the building, the video provides insight into the philosophies that shaped the building's architectural design. It also spotlights the kind of sophisticated science studies and projects tackled by Andover students.